Showing 1 - 15 of 18 articles tagged "Liz Meriwether"
With Fox shifting its scripted strategy, the network has decided not to proceed with three potential midseason comedies. 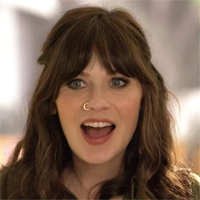 The Season 6 finale gave Fox's Zooey Deschanel comedy the perfect ending. Foster wrote the comedy pilot loosely based on her life with New Girl's Liz Meriwether on board as executive producer. Bell will star in and direct the pilot of the Nebraska-set comedy that she co-created with Meriwether.